$270.71 plus free shipping in the contiguous US. Call for Hawaii and Alaska prices. Designed to handle the increased use of on board accessories in today's vehicles, ODYSSEY Performance Series batteries combine long service life, high reliability and deep cycle capabilities. 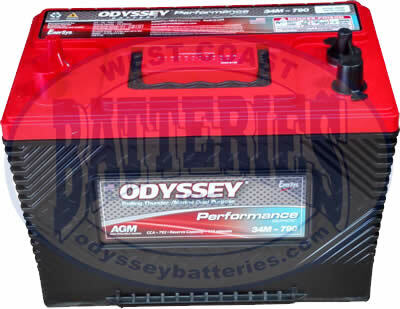 The ODYSSEY Performance series batteries provide all the reliability of the ODYSSEY Extreme Series batteries but without the high cold cranking amps (CCA) or reserve capacity (RC) that many people may not require.